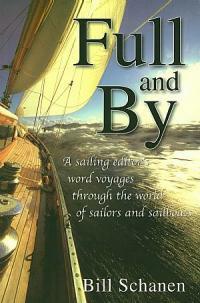 A sailing editor's word voyages through the world of sailors and sailboats. Bill Schanen is the Editor and Publisher of SAILING Magazine, the oldest continuously published sailing magazine in the United States. For over twenty years, Bill's column, "Full and By," has appeared on the masthead page of the magazine and has served its readers as a barometer of the sailing world, and often of the world in general. Bill Schanen writes in a style that can only be described as remarkably literate. An accomplished sailor and successful businessman, Bill has shown himself to be as fearless in expressing his opinions on matter of local and national interest, both inside and outside the sailing community, as he is willing to simply share with his readers the essence and beauty of sail. This book comprises the best of "Full and By."